ellehermansen: The Wonderful Benefits of Tamanu Oil! While out at the movies with my lady friends, I was asked if I was pregnant because I looked like I was "glowing!". It was a lovely compliment because A) I'm not pregnant and B) It's nice to hear how nice my skin looks, because it can get bumpy from the heat! I was going through my Alive magazine when it had an ad for Tamanu oil; my secret and the "green gold" of skincare. 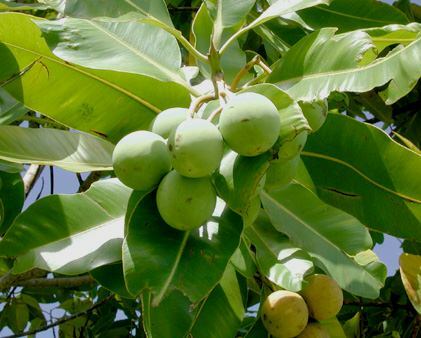 "Tamanu oil is anti-inflammatory and most importantly it has anti-oxidant properties for looking younger. 100% natural Tamanu Oil possesses a huge amount of antimicrobial qualities and antibiotic properties. 100% natural product, Tamanu Oil can provide help for many skin problems such as acne, eczema, herpes, shingles, rosacea and rashes without any side effects. For all these skin conditions Tamanu Oil may just be the divine answer. This oil penetrates the skin very quickly and will leave no greasy feel. It works in harmony with your skin, by helping your skin regenerate itself. This oil also possesses analgesic properties that help rid the body of pain extremely fast. This is especially so when it comes to conditions such as pulled muscles, ligament damage and sprains. Once this oil is absorbed into the skin, it will help with the healing process." Edie was having some little bumps on her face and I decided to use this oil on her face, and by the next morning - the bumps were almost gone! It is also wonderful on sunburns and great for calming my skin after waxing. I actually throw this on before makeup (not always) and for sure before I go to bed to get the most benefits from this oil. This is the one I use! "The benefits of Tamanu Oil are becoming more and more widely known and this fantastic oil is changing many people's lives. It is sought-after by cosmetic manufacturers as an ingredient in skin creams. 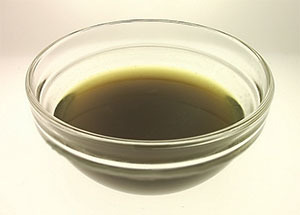 Unadulterated Tamanu Oil can be used pure, as it is the perfect anti-aging ingredient. Fine lines disappear within seconds of application. Due to its silky texture, Tamanu Oil soothes and softens, all while providing anti-oxidant, restorative, and anti-bacterial properties and that's exactly why this ingredient is included in blemish, acne, and wound-healing products. The combination of the oil's anti-inflammatory and analgesic qualities can be particularly beneficial in cases of neuralgia, sciatica, shingles and rheumatism. However, with chronic conditions, you may want to apply the oil for at least several weeks before you see a gradual healing. Tamanu oil is a godsend and a wonderful natural way to give you back your confidence in natural health products. Because of its curry-leaf-like aroma, it is recommended to apply oil before bedtime." You can get it at any health-food store and online. A little goes a long way - and you'll find it's quite affordable! It's my new, greatest, natural beauty/everything obsessions! I will have to check this out! Thanks!